On year ago, I started to realize my t-gauge layout. I called my layout "La Gare Maritime" (french) / "The Railway Harbour station". My goal was to be able to use for this layout a model cruise ship (AIDAluna / Revell). Colors tracks (pink, yellow) are at level -1 (underground). The size of the layout is 1.30m x 0.60m. The track length is 17.5m (=7.8km real size). 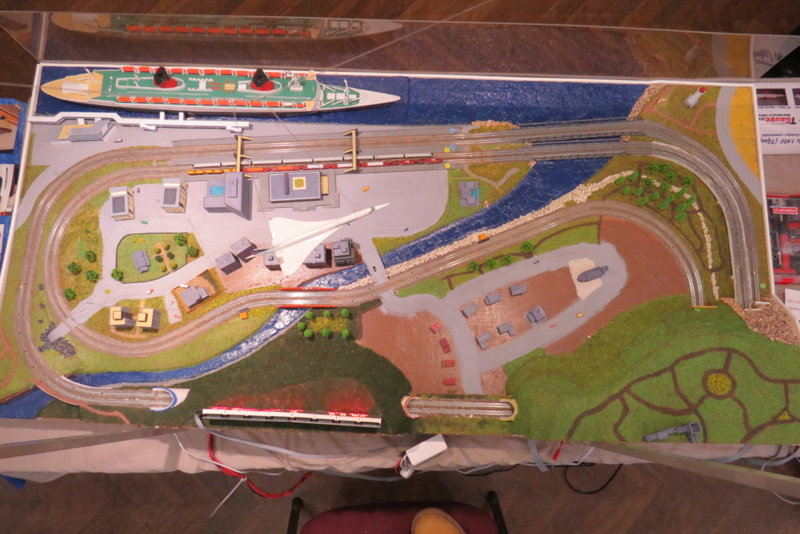 Two photos of my layout during an exhibition last week in France (Vélizy). Very nice layout! And it showcases one of the main advantages of T gauge: modeling a lot of landscape and big structures within a managable space. 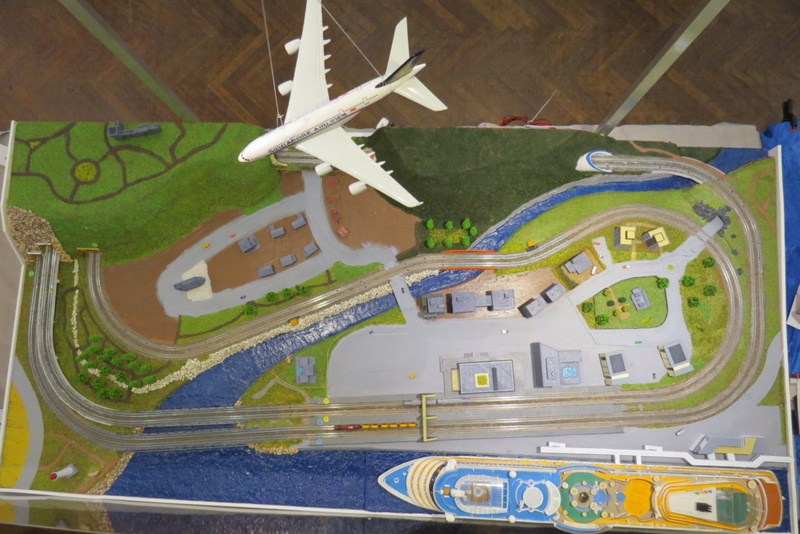 In what other scale can you combine a big cruise ship with a railway? Impressive! I would love to see more photos of your layout! And it showcases one of the main advantages of T gauge: modeling a lot of landscape and big structures within a managable space. In what other scale can you combine a big cruise ship with a railway?